What is nonsense? How has it permeated our day-to-day speech and thought processes in order to become a vital part of the way we interpret the world? 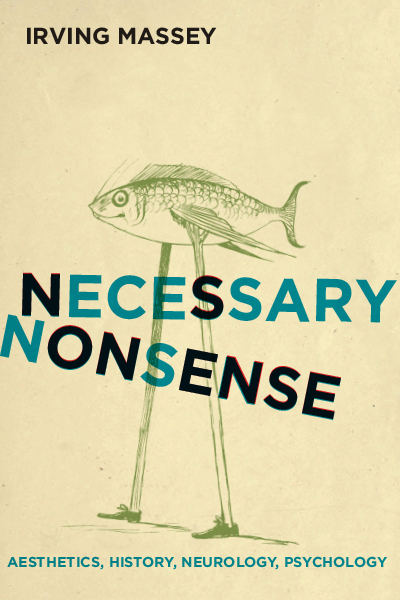 In Necessary Nonsense: Aesthetics, History, Neurology, Psychology, world-renowned expert Irving Massey commits nearly forty years of scholarly musings on the topic of nonsense to the page. Employing a writing style of overlap, repetition, discontinuity, and contradiction in order to describe the history and of grammatical, philosophical, and semantic nonsense, Massey opens his readers to the cognitive possibilities of accepting nonsense as a fundamental human feature. In Necessary Nonsense, Massey explores a range of literary and philosophical subjects, from Immanuel Kant to Lewis Carroll—parsing the ways in which nonsense permeates their writing and dialectics—including an exploration of the inability of those who suffer from Asperger's syndrome to distinguish between metaphor and nonsense, and an investigation of the neural signature of the nonsense words and phrases that occur during the transition from waking to sleep. Massey argues that while nonsense may be the “archenemy of reason,” it is also tied to the intrinsic nature of reason; the two, simply put, cannot exist without each other. Through a stunning array of exploratory topics, Massey concludes that we all live under a canopy of nonsense. Irving Massey is Professor Emeritus at the State University of New York at Buffalo. He is the author, most recently, of The Neural Imagination: Aesthetic and Neuroscientific Approaches to the Arts.